Dole Plantation is located just 15 minutes from the North Shore of Oahu. When exiting Dole Plantation’s parking lot, just turn right and head over the hill. Besides having the world’s most beautiful beaches, there are also so many unique and wonderful shops, restaurants, and things to do on the North Shore of Oahu. A visit to Oahu’s North Shore just wouldn’t be complete without a stop at Dole Plantation. This was the site of James Dole’s original pineapple plantation. Today, its visitor center and on-site attractions have made it one of the top places to visit and best things to do in all of Hawaii. Hop aboard the Pineapple Express train. 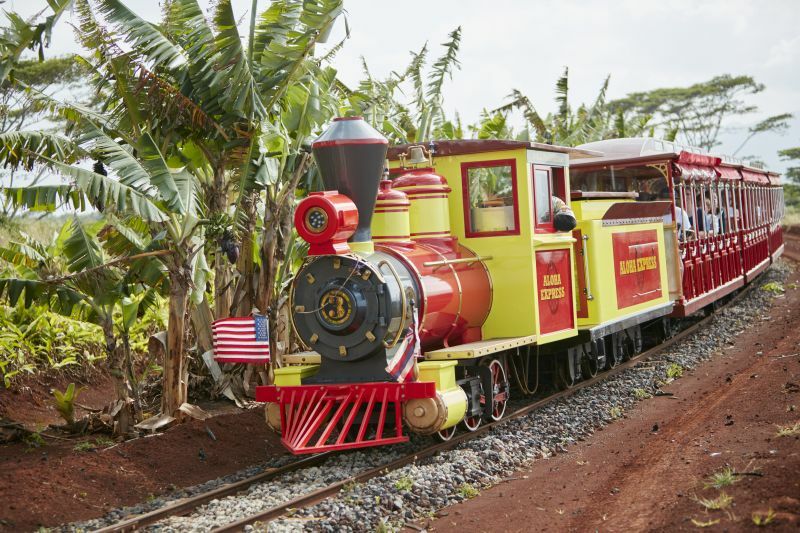 This fully-narrated train tour will take you through acres of diversified agriculture, where you’ll see fields of pineapple, coffee, cacao, and other crops, many of which are grown on the North Shore of Oahu. Looking for something fun for the kids? 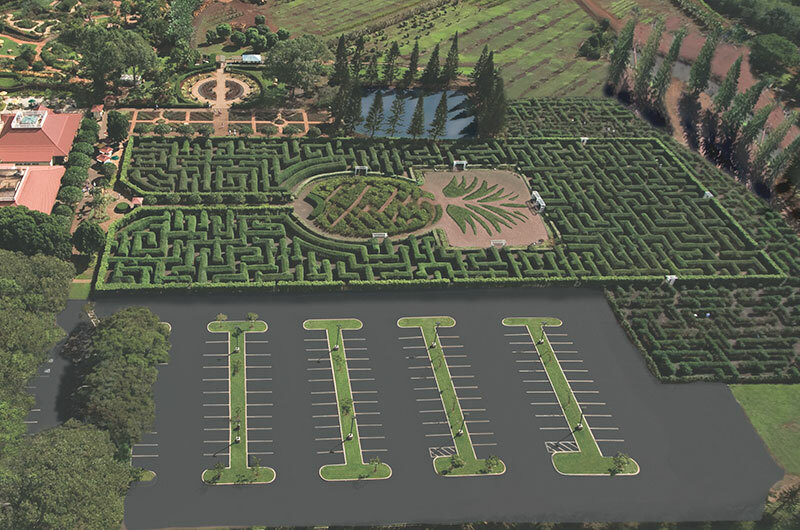 Besides the train tour, there’s also the World’s Largest Maze! Recognized in 2008 by Guinness World Records, the maze spans over three acres and is made up of thousands of colorful Hawaii plants. Maze-goers must search for eight secret stations within the maze, each themed after one of the eight Hawaiian Islands. It’s no doubt one of the best things to do and experience whether you’re a kid….or just a kid at heart. Then, take a leisurely stroll through the Plantation Garden. 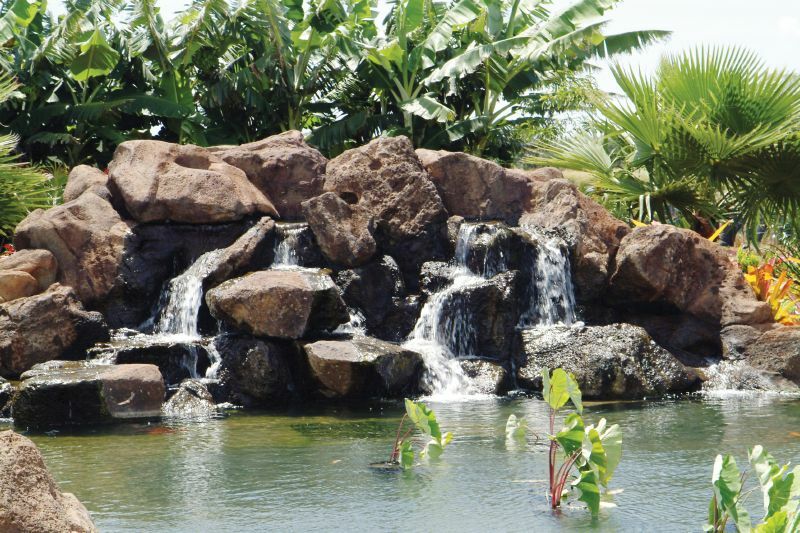 This self-guided walking tour consists of eight “mini gardens,” where you’ll get an up-close look at plants, including native species and a variety of crops grown on the North Shore of Oahu, such as banana, papaya, and tropical flowers. If you’re hungry and looking for some great local food, stop by the Plantation Grille. 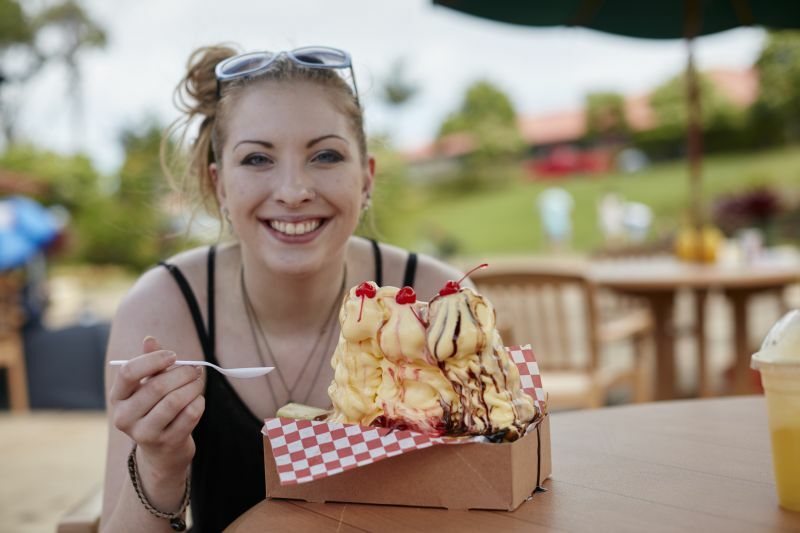 The menu is filled with local favorites from Kalua Pork to Loco Moco, and don’t forget to try our world-famous Dole Whip soft serve pineapple ice cream! And, finally, save some time to peruse the large assortment of “Made-in-Hawaii” merchandise and “one-of-a-kind” gift items in the country store.